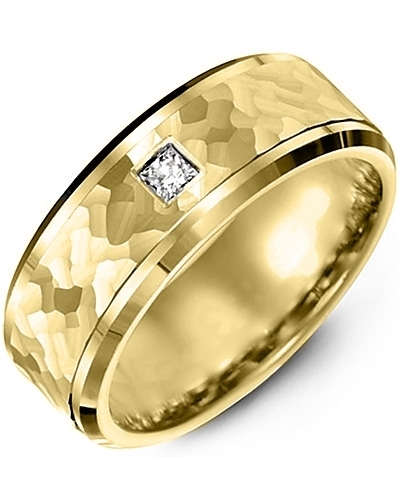 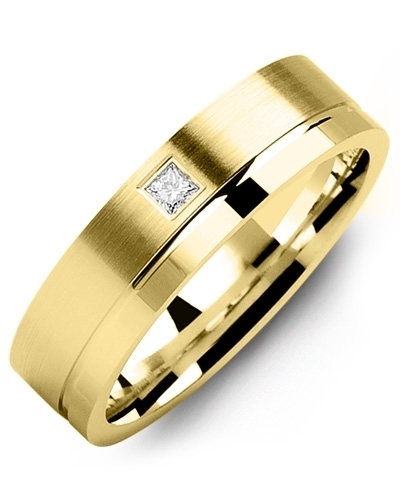 MTG - Hammer Design Beveled Diamond Gold Wedding Band This Hammer Design Bevelled Diamond Gold Wedding Band is the epitome of modern jewellery design. 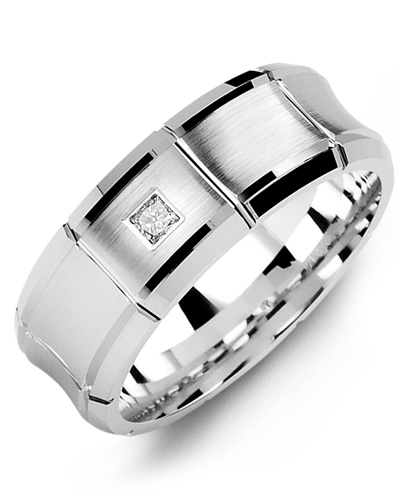 Skilfully handcrafted for a flawless finish, it features high polish bevelled edges, intricate hammer detailing, and a single 0.07ct square princess diamond that sparkles effortlessly in the natural light. 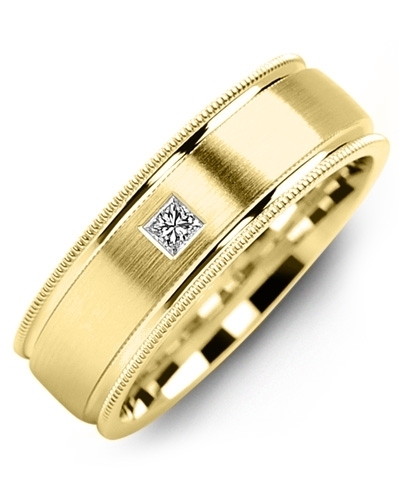 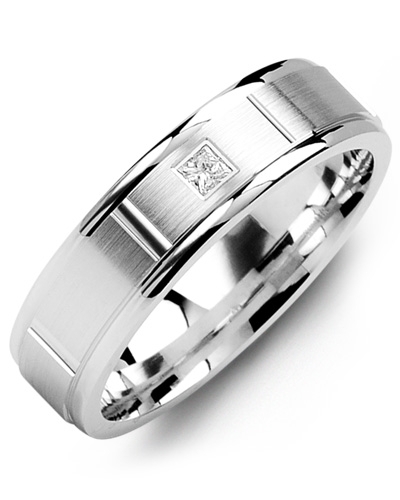 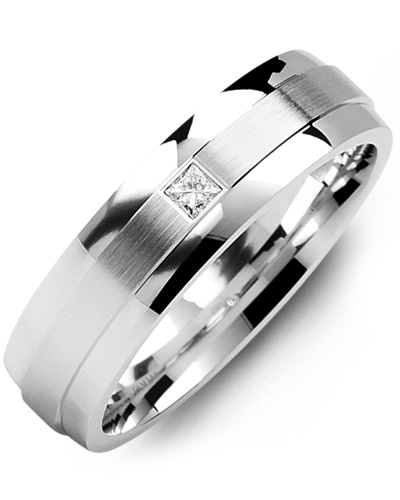 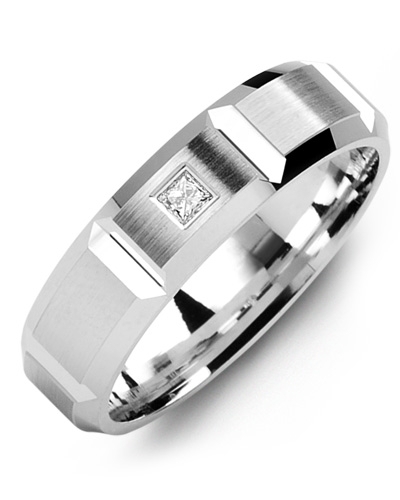 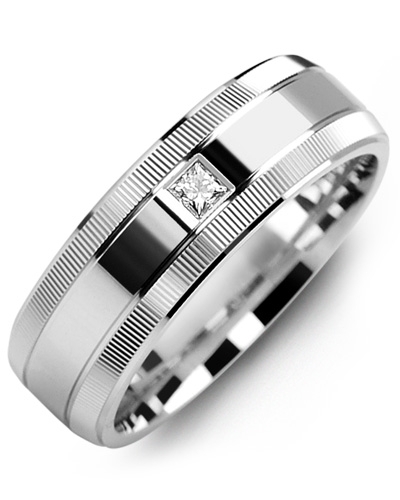 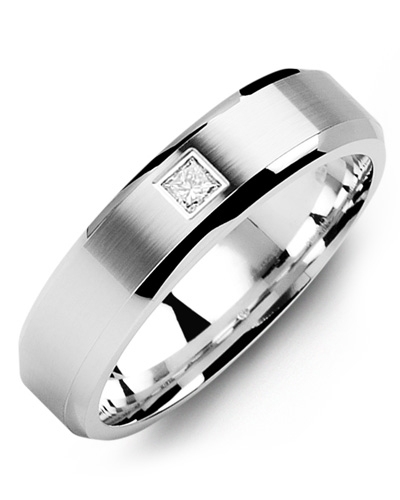 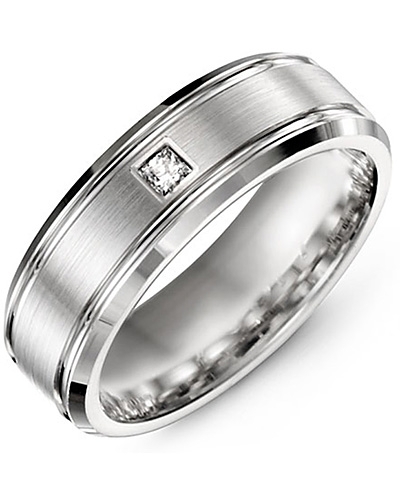 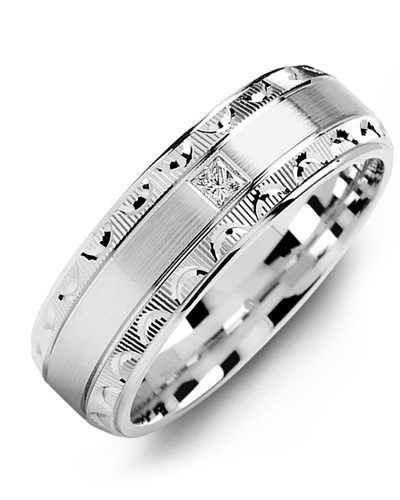 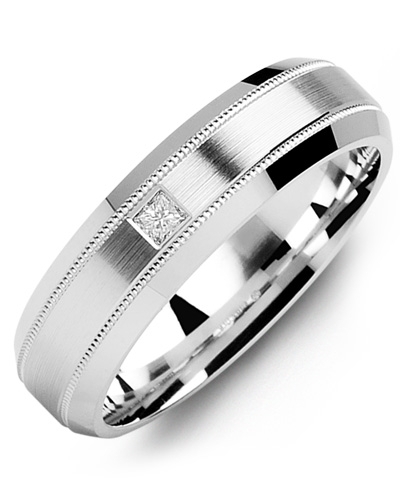 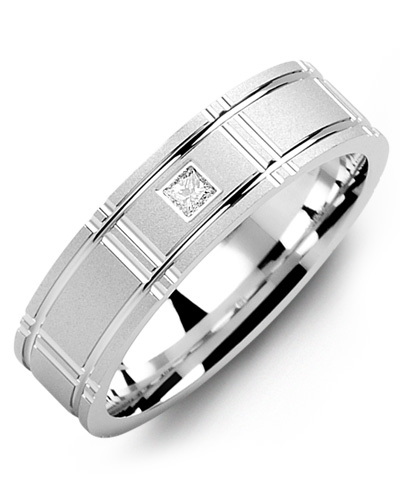 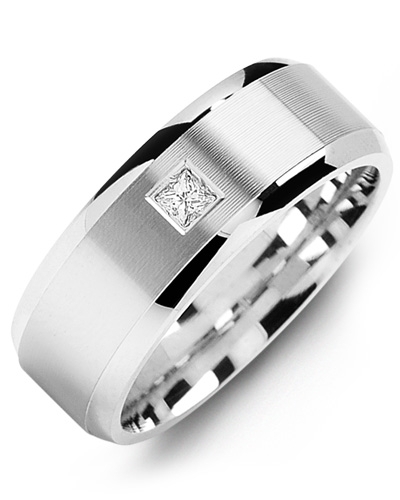 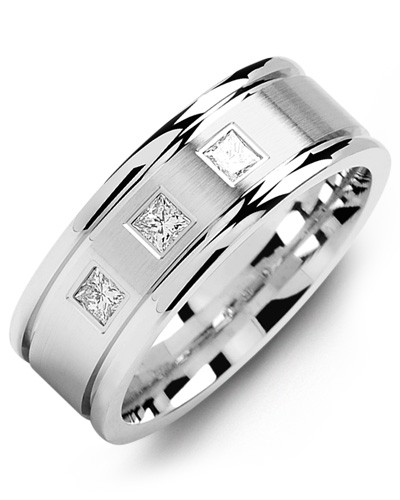 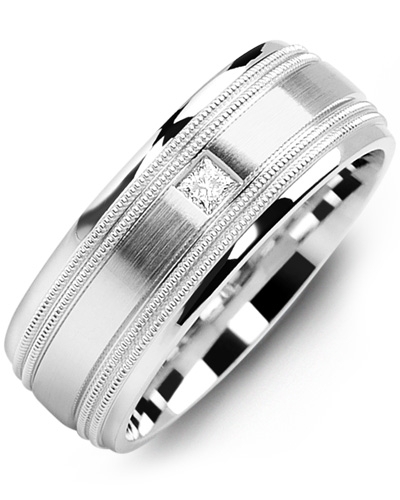 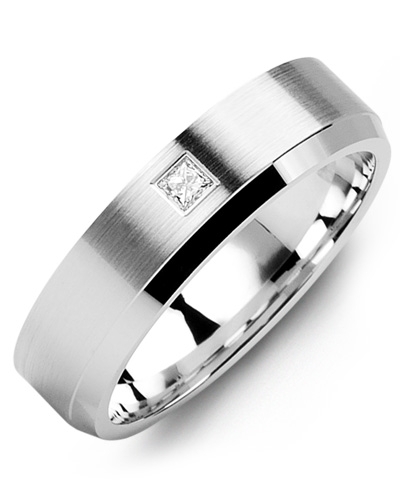 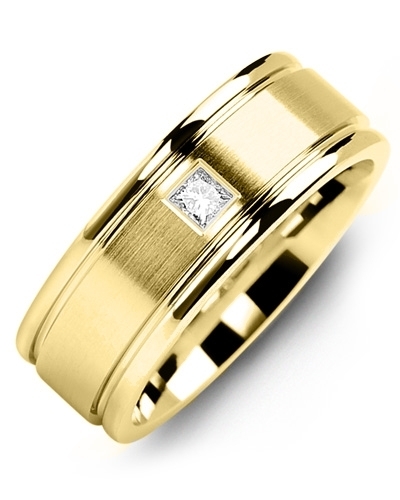 Available in white gold, yellow gold, and 10kt, 14kt and 18kt options, this designer wedding ring can be personalised to suit your unique style. 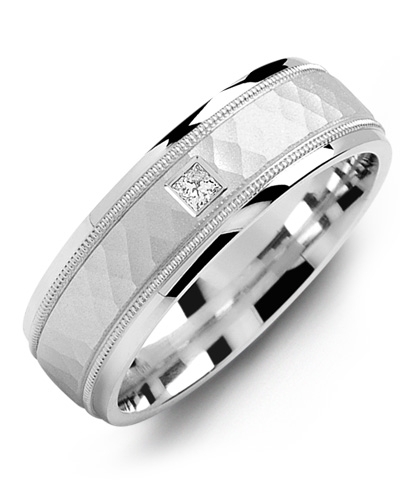 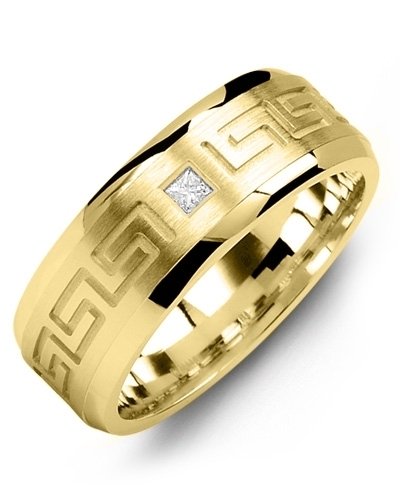 This Hammer Design Bevelled Diamond Gold Wedding Band is the epitome of modern jewellery design. 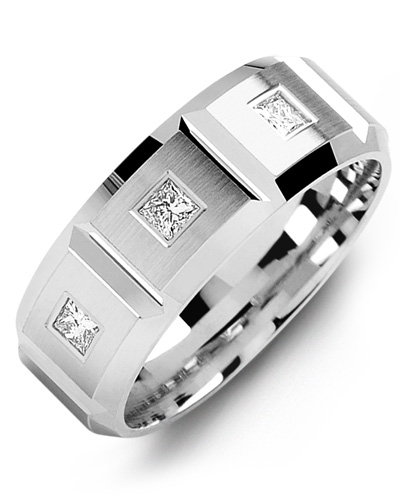 Skilfully handcrafted for a flawless finish, it features high polish bevelled edges, intricate hammer detailing, and a single 0.07ct square princess diamond that sparkles effortlessly in the natural light. 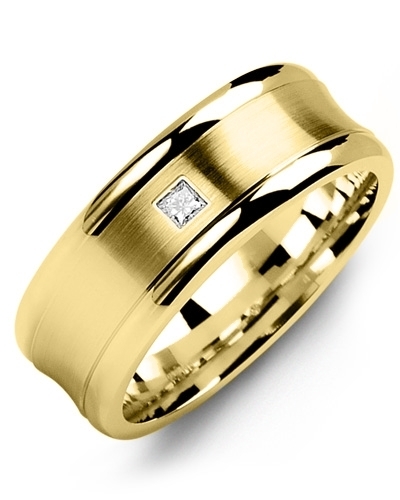 Available in white gold, yellow gold, and 10kt, 14kt and 18kt options, this designer wedding ring can be personalised to suit your unique style.